There has been a steady rise of installation of automated gates on properties throughout the UK since the benefits that homeowners receive are proven to be not only beneficial but also cost-effective. Automated gates can be a form of investment since the value of your property increases. It also increases the aesthetics of your home and makes it more modern and sophisticated. Aside from these advantages, it improves security and convenience since you don’t have to manually open the gates if you need to enter or exit. If you have an existing gate and are musing about replacing it to increase security and property value, you might consider having another option first. You don’t have to change your gate to have it automated if you are fond of it. Do know, however, that automating your existing gate must first be examined by technicians since they’ll advise if your gate can be automated or not. Manually operated gates should first pass certain guidelines before the technical team can administer the machine. 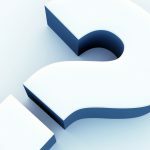 You might get persuaded on employing tradespeople who will offer to apply cheap automation kits that may probably only cost around a few hundred pounds, but you must take into consideration the long-term effects for your gate since it might get compromised. Poor installation and inferior equipment might get your gate ruined which can result in numerous repairs and concurrent losses. One good step away from these probable deficits is to have it examined by a team of engineers and technicians to check if your existing gate is appropriate for automation. It must be operational and sways in both directions. It should be level and has a considerable distance from the ground while it swings. Your manual swing gate should not be dragging when it opens or closes. One of the things that the technicians will check is the foundations of your gate. The posts should be strong and secured to the ground so that they can handle the automation. This would mean that masonry columns and wood posts may not be suitable for automation and they might get substituted with heavy-duty steel that can be firm in concrete. Little gate parts like the hinges must be examined too since they would need to be replaced if they are rusty, stiff or fitted loosely. Swing gates that are more than 200 lbs. and are too heavy should have ball bearing hinges. If your swing gate is made with a lovely tinge of special wood and you want to automate it because of its aesthetic appeal, the team will first check its thickness and durability. 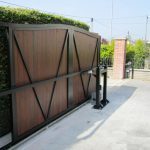 Keep in mind that the whole process of automating your existing gate requires exceptional endurance to maximise the gate’s lifespan, so a very thin wooden gate might not be suitable to be automated. Chain link gates follow the same guideline as well. Basically, it is better to replace your gate with an automated one if your existing gate is thin, flexible and not built as heavy-duty. Most of the procedure that needs to be checked in manual swing gates apply with manual sliding gates. It should also be level and not touch the ground when you manually open or close it. It should operate smoothly along its tracks and slide seamlessly without grating along the path of the gate. Any halt that prevents the automated operation, like sudden dips and rises, might cause the mechanism to function poorly and might break down if left with that state of repetitive malfunctions. Another thing that should be taken into consideration is the length of your sliding gate. Your sliding gate should have a two to three feet extension before it can be automated for the installation of the gate operator chain brackets. If you want your existing gate to be automated, you can contact us for enquiries regarding the suitability of your gate to automation. TPS Electric Gates can look into your gate and advise what is the best way to automate your gate or if it needs to be replaced for automation. We design, install and maintain high-quality automated gates for the home. Based in Lydney, Gloucestershire, our dedicated team can install and service gates within a 50-mile radius.